Sound Pictures is the second book in the two-part biography of the man popularly known as the fifth Beatle and the follow-up to the award-winning Maximum Volume. 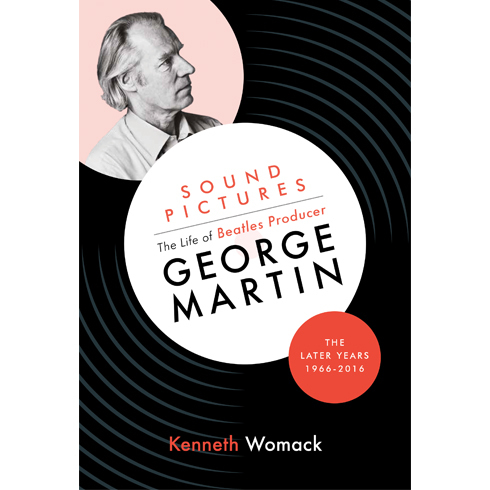 Sound Pictures traces the story of George Martin and the Beatles’ incredible artistic trajectory after reaching the creative heights of Rubber Soul. As the bandmates engage in brash experimentation both inside and outside of the studio, Martin toils along with manager Brian Epstein to consolidate the Beatles’ fame in the face of growing sociocultural pressures, including the crisis associated with the “Beatles are more popular than Jesus” scandal. Meanwhile, Martin struggles to make his way as an independent producer in the highly competitive world of mid-1960s rock ‘n’ roll. As Martin and the Beatles create one landmark album after another, including such masterworks as Revolver, Sgt. Pepper’s Lonely Hearts Club Band, The Beatles (The White Album), and Abbey Road, the internal stakes and interpersonal challenges become ever greater. During his post-Beatles years, Martin attempts to discover new vistas of sound recording with a host of acts, including Jeff Beck, America, Cheap Trick, Paul McCartney, and Elton John. Eventually, all roads lead Martin back to the Beatles, as the group seeks out new ways to memorialise their achievement under the supervision of the man who came to be known as Sir George. Now, more than 50 years later, Martin’s singular stamp remains on popular music as successive generations discover the magic of the Beatles. 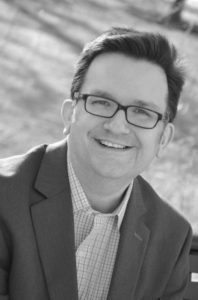 Kenneth Womack is the Dean of the Wayne D. McMurray School of Humanities and Social Sciences at Monmouth University. His books include THE CAMBRIDGE COMPANION TO THE BEATLES, which won the Independent Music Book of the Year 2009. He travels the world giving talks about The Beatles and shares his expertise through his HUFFINGTON POST blog and appearances on TV and radio, from the BBC to NBC.